This entry was posted in Finished Work Announcements on December 11, 2013 by Nick Alter. Welcome to the new and improved Finland Finish website. Our friends at Zangrilli Creative architected this fine digital domicile. We are very pleased to have a new place to showcase our work and step up our presence on the internets! Cat pics to follow. 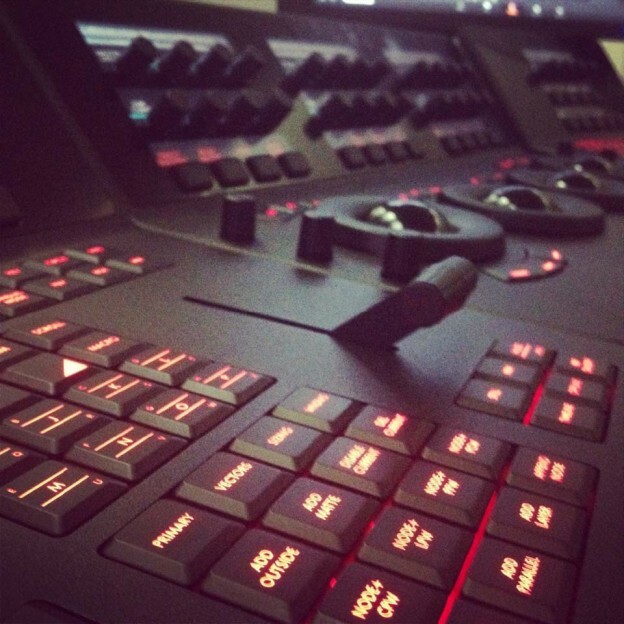 In other news, there’s a new toy at the studio – a shiny new set of Resolve control panels. In addition to streamlining the color grading process, they have pretty colored lights and a T-Bar that kinda feels like we’re running mission control. We look forward to sending your next project into outer space. The three panels all sit nicely on a slick new walnut desk – handcrafted by BLK MKT’s Jason Blair. Check it out and bask in the glow. This entry was posted in Finished Work Announcements on December 10, 2013 by Nick Alter.